Size: approx. 270mm x 320mm. From Camden's Britannia. Full Title: WESTMORLANDIAE Comitatus qui olim Spectaint ad Brigantas. 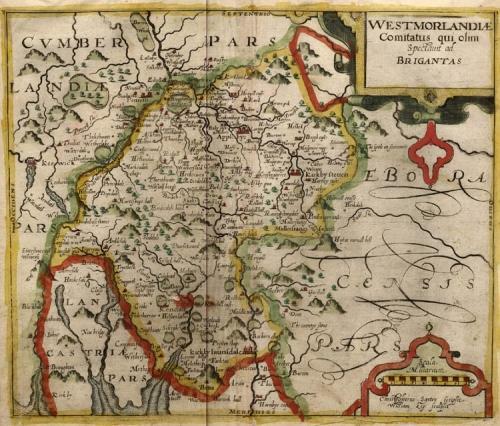 An early map of the county of Westmorland that was engraved by William Kip based upon the survey by Christopher Saxton. In good condition.